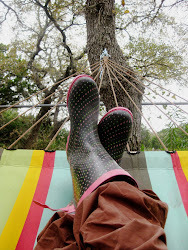 It's been a while since I posted an update on what we're reading. We started our library days back up again a few months ago, then the holidays hit and we ended up moving (again! - but for good this time!) and are just now starting to see a new routine take shape in terms of school and library days. Sorta. More on that later. Anyway, my 12yo and I both got a stack of books for Christmas because, well, we both get a little jittery when we're about to finish a book and don't have another one ready to go. In fact, I don't feel completely secure unless I have a stack of about 6 or so ready to read. I've always had an interest in medieval studies. 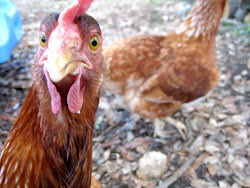 In fact, my masters thesis in grad school was about Beowful, but at the time my focus was more on 18th century lit. After reading Penman's books, as well as a few others, I can see that focus shifting more to the 12th and 13th centuries. I have a few ideas of where to take this...we'll see how it goes! For now, I'm taking an online college course thru the University of Leicester in England on the Reign of Richard III. It's a free course, but I'm hoping it will lead to something more um, accredited? Since I exhausted all of Penman's books (sob) I've had to move on to another series. I chose Elizabeth Chadwick. Her books are mostly only sold in the UK so I wasn't able to find any of her earlier books at the library or at Half Price Books, so I've resorted to buying them on Amazon. I've finished up most of the Chadwick books now and while some are definitely shelf worthy, some are not. I'm curious how the Bernard Cromwell books are. Haven't hit those yet. I'll keep ya posted. I also have The Dovekeepers in the stack, as well as Behind the Beautiful Forevers, which was a Bill Gates recommendation. I'll be honest, I read the first chapter and set it aside for a time when I'm really really desperate for something to read. I just couldn't get into it. I think I'm just in 'medieval mode' and not ready for modern day works. So, my 12yo is rather picky about what books I can buy her (this is her stack). She really likes Wendy Mass books so she has two of those in her stack and I think that pretty much exhausts what she can read from that author (she's read all her other books). So, I got on Amazon and started looking for books that Wendy Mass fans were reading, hoping to find something similar in another author. Most of the reviews pointed to Avi, and she's read some Avi books and enjoyed them, so I picked out a few more: Midnight Magic, and Something Upstairs. She's been reading another Avi book called City of Orphans, which had really good reviews, but alas, about half way thru she told me she can't finish it. It's boooorrring. I picked up the second book in the Bob the cat series: The World According to Bob. She loved the first one (I got the teen version, not the adult version). If you haven't seen the videos about Bob, google it. Great story. A few others in the stack: Pennies From Heaven, Nature Girl, Bright Shadow, Sparrow Road, and Stranded. All had good reviews and seemed to be about things pre-teens find interesting. I'll let cha know which ones she ends up keeping. So, what are you or your kiddos reading? So, I've been wanting to do this for awhile. Not sure what the hold up was. Probably fear. Fear of change. Fear of the unknown. Fear of wasting A LOT of perfectly good money. But then my pre-teen girls started asking about make-up. Then they started wearing make-up. At 12 years old! Can you imagine?? Well, this got me thinking...and really looking in the mirror...and I decided it was time to clean house. Or, at least my make-up bag. It's one thing for me to use cheap potentially unhealthy make-up but a whole 'nother when it involves my girls. I decided this was important enough that they should start off knowing and using good clean products. Products that don't test on animals, or contain parabens or weird wackadoo chemicals, or make their skin blotchy itchy or bumpy. My youngest and I are both redheads and thusly, we both have the super duper sensitive skin. All my life I've had to deal with make-up sensitivities and breakouts, be extra careful with oils, fragrances, and lotions, etc. And I now see this in her as well. My oldest is blessed with more hardy skin, but there's no sense in throwing icky chemicals on your skin, even if it can handle it. So, I cleaned out all our old make-up products and filled our stockings this year with some lovely new goodies. And yes, they were a bit more expensive. And yes, it does sting a little to spend close to $20 on mascara. But, these are my kiddos and I want them to have a good start in all this. And we're all in agreement these are worth the extra dough. Now, I should preface this by saying we don't wear much makeup. I have one girl going on 13 and one who just turned 10. They are both homeschooled so they don't have a need for makeup every day. They usually throw a little on when we go out or are with family or friends. And I have never really been a big fan of it myself. I will wear just enough to brighten things up, but I stick to a pretty basic routine. This is my stash (above). I started off with Physicians Formula powder foundation and blush. I think each was around $30. I found this brand at Walgreens. Within a day or two of using the powder I noticed bumps and itchiness. I immediately stopped using that, did a little more research and ended up with Mineral Fusion powder, which I found at Whole Foods for the same price. LOVE it! I never thought I could give up Cover Girl. But I did. And I'm so very happy I did! A little goes a long way, it covers great and I've had no sensitive skin reactions. Just creamy goodness. AND: Free of animal cruelty, gluten, parabens, artificial colors, phthalates and talc. This is good stuff! Amazon it, or google it. Read the reviews. 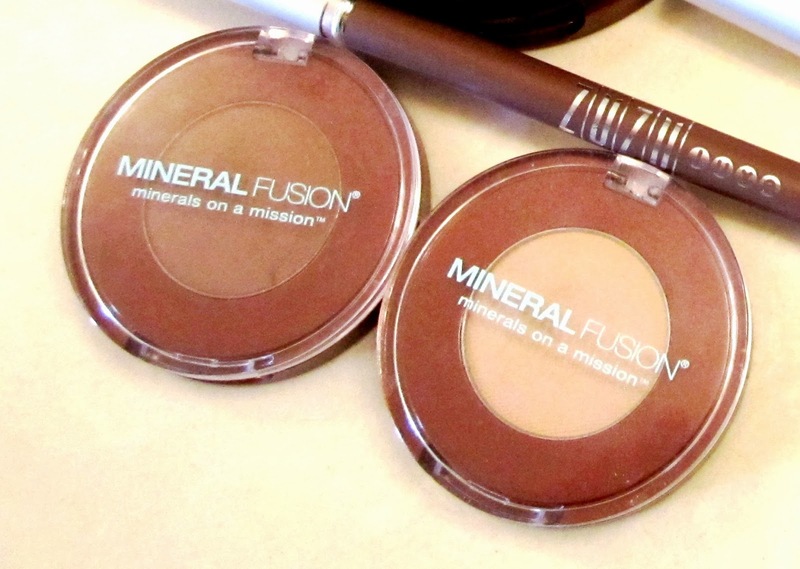 I bought two small eyeshadows from Mineral Fusion (also found at Whole Foods). One is a champagne color and the other is a darker taupe. Each was about $16. Love them both! 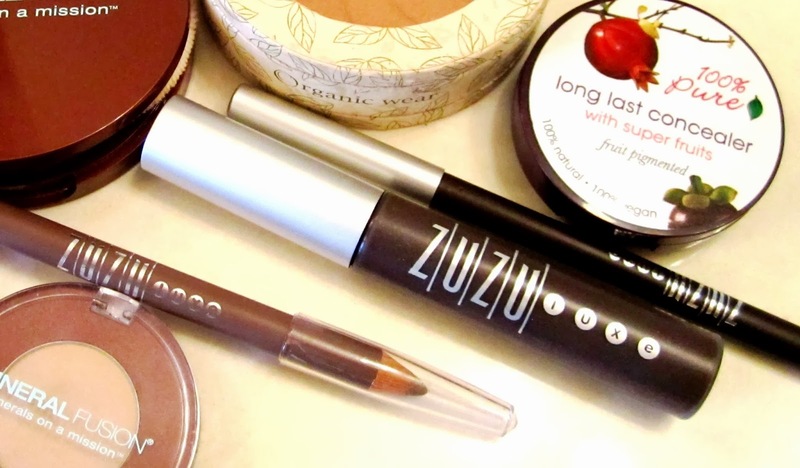 I picked up Zuzu mascara in a brown color, Zuzu eye liner in a brown color, and Zuzu eyebrow pencil in a taupe color. Zuzu comes from the Gabriel Cosmetics line and can also be found at Whole Foods. Each was under $20. This line is also vegan, cruelty-free, gluten free, no parabens, sulfates, fragrances, dyes, etc. I never thought I would spend $17 on eyeliner or mascara, and maybe it's a placebo effect...all I can say is this stuff just feels better. And I would much rather take a chance with this stuff on my kids faces and eyes than the chemical-y stuff. I've been there done that...it's time to detox! She's 10. And not allowed to wear mascara yet. And really can't be bothered with make-up. She's a hormone mess AND a redhead to boot. But, she's gotta keep up a bit with big sister so I tossed her Cover Girl stash and replaced it with this. The Mineral Fusion stick is a 3 in 1 product she can use on her eyes, her lips or her cheeks. It's a pink color. She uses it for her eyes and maybe just a touch on her cheeks. That's about all she has time for. Thank goodness! For her lips, I picked up a fruit pigmented product (I have one in my stack as well!) that comes from 100% Pure. It's good enough to eat. And if I have a complaint that would be it. It tastes a little too natural and I constantly have to reapply. But at least I'm not eating wax. And neither is my little one. Ewwww. I found 100% Pure online. Not sure if you can buy it in stores. They have a whole line of products. I've only tried the concealer (also in my stack above, which I LOVE!) and these lip glosses. My kiddos gave it a thumbs up as well. I just don't like having to order online each time we want more so I may see about switching to something I can get at Whole Foods. I'll keep ya posted. For now, we love this line of goodies! She's the pickiest, and very adamant about mascara and looking girly and wearing cool clothes, etc. Thankfully, she keeps her makeup neutral. She'll find these products in her stocking from now on! She actually picked these out with me. She picked a Zuzu blush, mascara, and lipstick. Each was about $20 or a bit less. And she picked the Mineral Fusion powder and eyeshadow. I got a BIG thumps up from her! I definitely recommend Googling or Amazoning these products. Research what you're using. Research what's out there. And go for the detox! It's more money initially, but these products last longer, work better and they're going on your skin...for some of us, everyday. What goes on your skin goes directly into your bloodstream. I know there are lots of non-toxic cruelty free products out there, but these are the ones we found affordable and worth looking into for now. I'll update in six months or so and let you know if we've changed things around again!